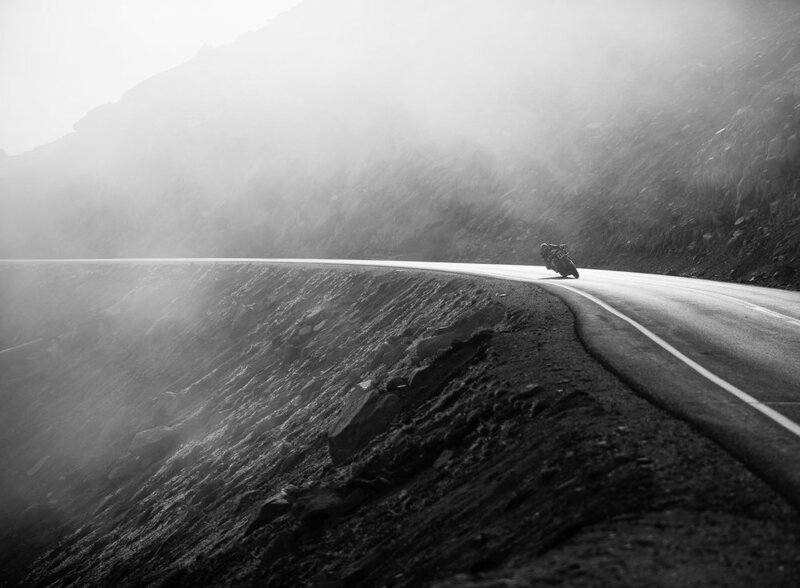 My passion for photography has always been driven by my love of motorcycling. Capturing the perfect picture, the ultimate interpretation of why we ride, why we race, why we spend countless amounts of time, energy, and money chasing that unexplainable feeling we get. That’s what drives me to pick up a camera and attempt to tell our story, a story I like to call The Quest for Gnar. 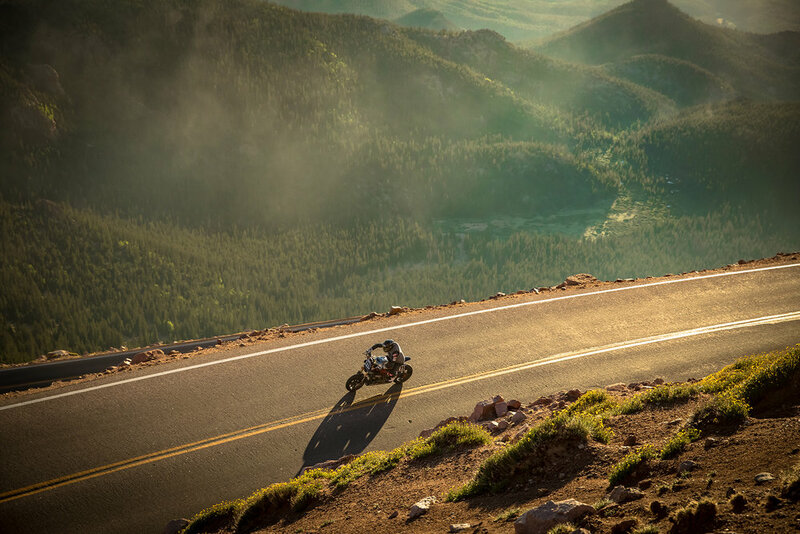 There’s no better place to try and tell this story than at Pike’s Peak, a place where once a year brave men roll the dice on one of the most unforgiving race courses in the world. I’ve been coming to the Pikes Peak International Hill Climb for the better part of a decade and I still can’t get enough. I believe it’s one of the Gnarliest motorsport contests in the world and makes any MotoGP circuit or AMA motocross/supercross track seem like ginger beer. The PPIHC is the closest thing we have to the thrill of true Irish road racing. It’s held on a unforgiving public road with ZERO margin for error, any one of the one hundred and fifty six turns can be fatal and many have proven so. I think Greg Tracy said it best “this is the closest thing to big wave surfing you can do on a motorcycle, it’s like paddling out to the scariest, biggest, gnarliest wave you can find and trying to ride it”. Those words really spoke to me because you don’t race against your competitors your racing against mother nature. The gravity of the situation is pretty hard to fully understand unless you yourself take the ride up 14,110ft and experience each one of the corners and then take a moment and imagine guys like Travis Newbold, Chris Fillmore, Rob Barber, Rennie Scaysbrook , and Michael Woolaway sending towards the clouds while wide open in 5th & 6th gear. Enjoy a look inside some of my captures from the 2018 event.